Per GCP Directive 2005/38/EC: Chapter 4 Article 16, the Trial Master File (TMF) is THE basis for an inspection by the Regulatory Authority. 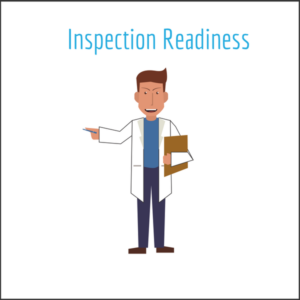 The definition of TMF Inspection Readiness therefore includes being prepared for a regulatory inspector to reconstruct the clinical trial conduct, using all pertinent data and metadata in the TMF. Essentially, this means that the inspector must be able to tell the story of the clinical trial – with no missing parts – and confirm that all procedures have been performed correctly per Good Clinical Practice (GCP). The inspector must also be able to confirm protection of patients’ rights and safety, and that all data is reliable. The best way to confirm these things are to establish the correct data entry from the very beginning of the process. One must also consider starting the inspection process at Day 1 – verifying that documents are correct per regulatory expectations, before they get entered in the electronic trial master file (eTMF). Entry of all data must follow pre-set Standard Operating Procedures (SOPs). Inspection Readiness confirms that the SOPs correspond to the TMF Plan for each study, which details the locations of the repositories, the responsibilities of all internal stakeholders per SOPs, and the details of quality control (QC) practices for entry and review of TMF artifacts (documents). What all of this means to you is, if you know that your TMF is clean, and you know what the regulatory inspectors expect to see in your TMF – you win. In this webinar, LMK stresses the paramount importance of the TMF to inspection readiness. From the first step of planning, which takes place on Day 1 of the clinical trial start date, to passing the inspection itself, the preparation points are highlighted by: creating a storyboard of key events and actions; confirming expertise of Standard Operating Procedures (SOPs); understanding risks; involving the right Stakeholders; and understanding the expectations of the Regulatory Inspector. LMK adds further value to the process by maintaining working knowledge of the three major regulatory organizations such as the Medicines and Healthcare Products Regulatory Agency (MHRA – UK) the Food and Drug Administration (FDA – USA), and the Pharmaceuticals and Medical Devices Agency (PMDA – Japan) – and, most importantly, of those agencies’ expectations for inspections. Knowledge of what the regulatory authorities are looking for enables LMK to assemble a plan for the client that will ensure that their TMF follows both the TMF Reference Model and ICH GCP – which, in turn, facilitates maintenance of inspection readiness. LMK staff are industry veterans across all phases of the clinical trial industry, as well as experts with TMF review, so they can provide excellent guidance on any required documents for the TMF. Their expertise is documented via the rigorous training program known as TMF University.